IBB Cyclery and Multisport: Ivins City Family Bike Festival 5/29! 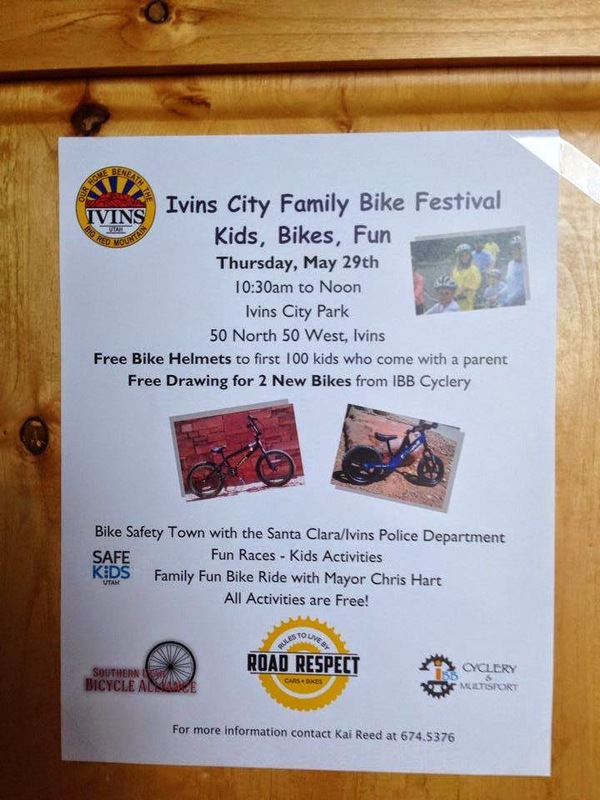 Ivins City Family Bike Festival 5/29! Come out to the Ivins, Utah Family Bike Festival Thursday 5/29, 10:30-noon, and the first 100 kids (w/ parents) get a free youth helmet. Also, enter to win 2 kids' bikes that we are giving away FREE!! 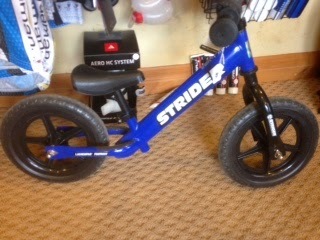 A Strider Bikes ST-4 Toddler Balance Bike, and a Fiction 18" BMX bike! !